1. 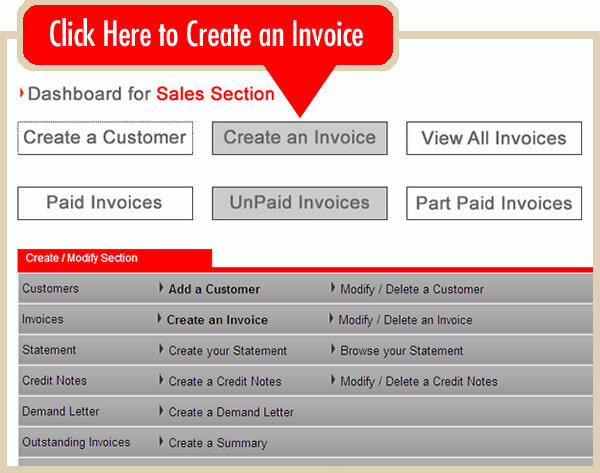 Once logged in, select the Sales Section and simply click on the 'CREATE AN INVOICE' button (See diagram below). 2. 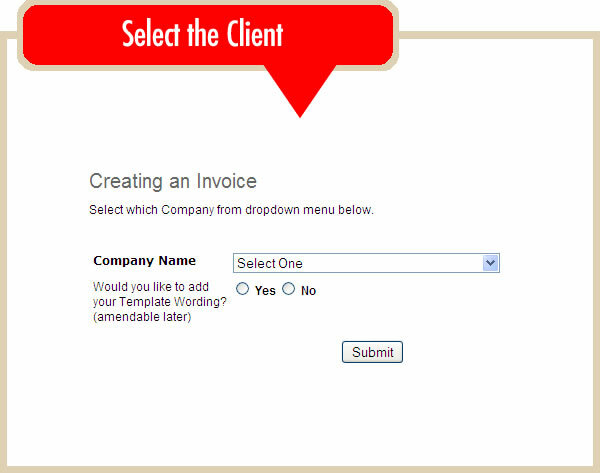 Select the Client and whether or not you want to use the 'Template' wording you have saved for your invoices. 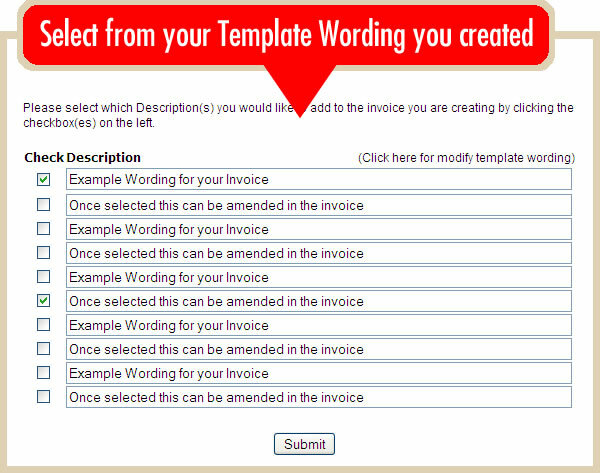 (See diagram below). 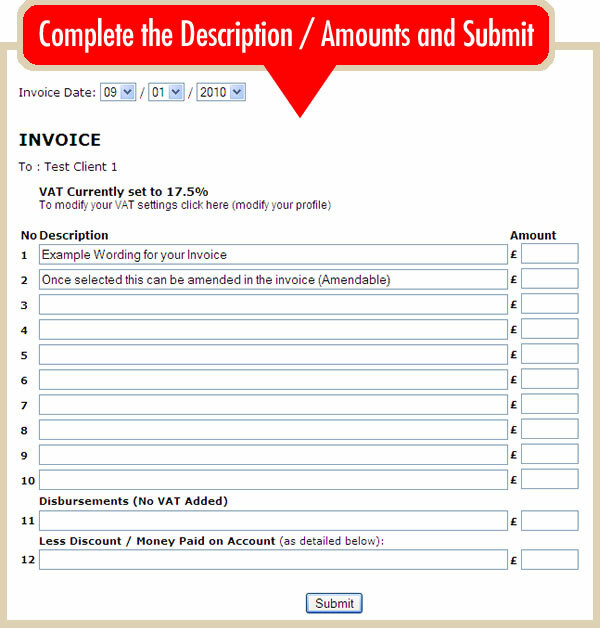 THAT'S IT, INVOICE CREATED AND IN DATABASE.